"Research carried out by Krashen has shown that free voluntary reading has a positive impact on reading comprehension, vocabulary, spelling ability, grammar usage and writing style, and that children who read more typically have higher literacy development (Krashen 1993, 1998)." Position Statement on the School Librarian's Role in Reading states that school libraries must provide students, staff, and families with open, non-restricted access to a varied high quality collection of reading materials in multiple formats that reflect academic needs and personal interests. 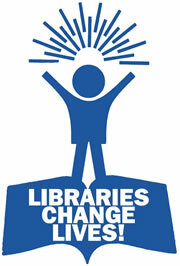 ASLA and ALIA are encouraging everyone to get involved in our What a difference a school library makes campaign. Visit the wiki, join the Facebook Page and send to colleagues, friends, parents and carers.